Over the last few years the role of product photography has shifted from being a supporting item for communication and promotion to a key business process. Being able to control the photographic process is becoming as critical as relying on impacting images. HSL enables you to do that without complicating your organisational processes. The solution for the industrialised management of the product photographic process for e-commerce and omni-channel communication. It consists of a special photographic set, its management console, and a system for processing and adapting images that can be interfaced with Digital Asset & Content Management systems. 1. 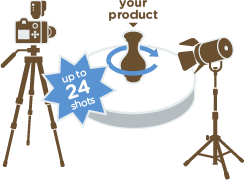 Once the product information is acquired by the system and the item placed on the set, the HSL shooting cycle automatically captures images of it according to the pre-defined shooting setting. The system also allows close-ups or 360-degree shooting of the product. All sets can also benefit of several additional options, including weighing and measuring services. 2. The files of the image are automatically transferred to the management software for the processing, cataloguing, and automatic creation of interactive views. 3. The Hyphen-UK Digital Asset Management platform, Chalco.net, aggregates information and makes them accessible to different user profiles based on defined access right permissions. 4. Authorised users access the product information referenced information. 5. A cycle that goes from idea to sales through production and marketing. 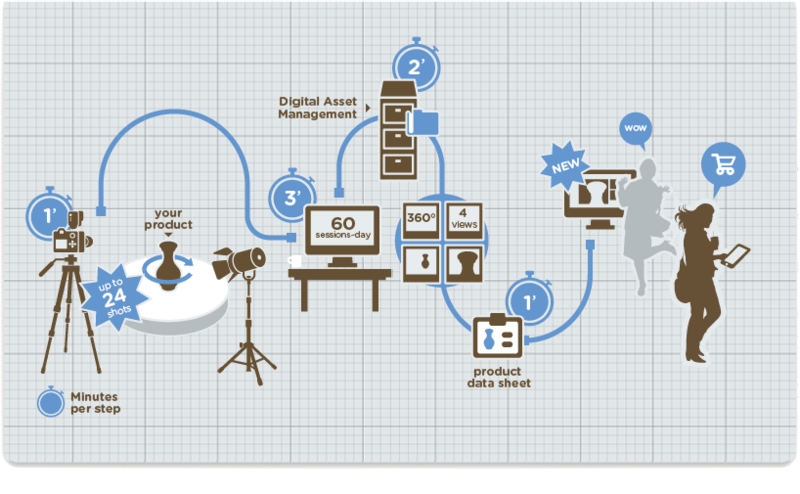 Our system accompanies the evolution of product data throughout the cycle adding real value to the entire process. HSL allows you create impactful images and associates them with their product contents. Integrated with Chalco.net, it supports the centralised management of products, data and editorial processes for multichannel communication. 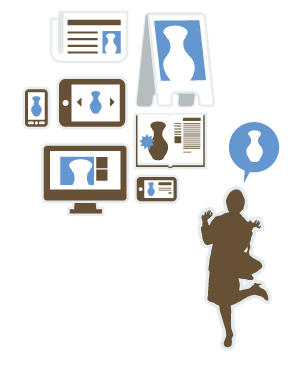 We develop tech tools to manage the workflows for adaptation and delivery to online sales channels of product images, data and marketing content.